Ask Away Blog: My Sweet Stella Turns 9! I can't believe it myself but the youngest member of my wolf pack turned 9 over the weekend! Sweet Stella is still under the double digits though, so I'm remaining calm. 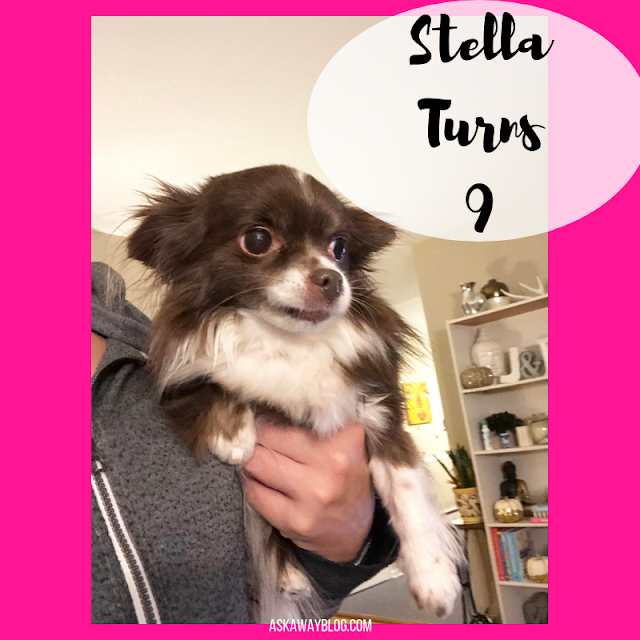 We celebrated Stella's birthday with tons of snuggles, some delicious wet food (which is a special treat for her), and a present! Anybody that has ever met my pups knows how sweet Stella is. 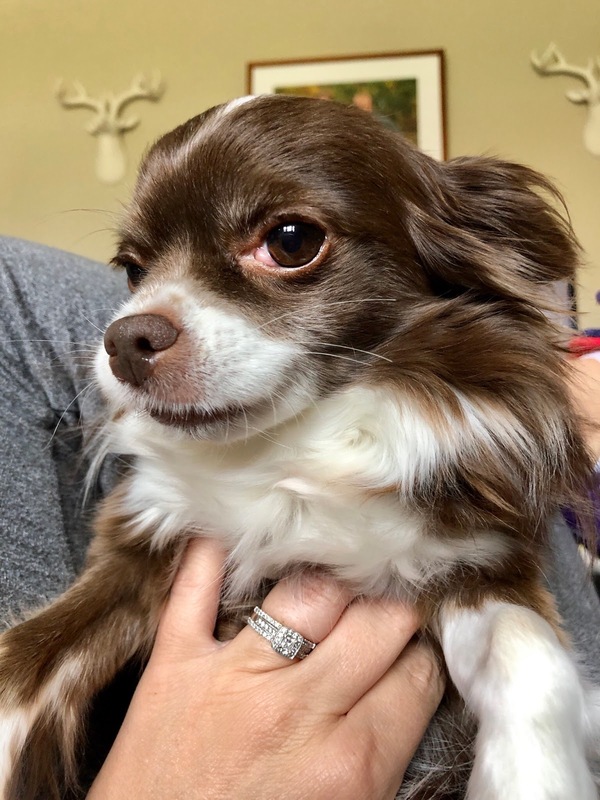 She's also a therapy dog along with Pixie. 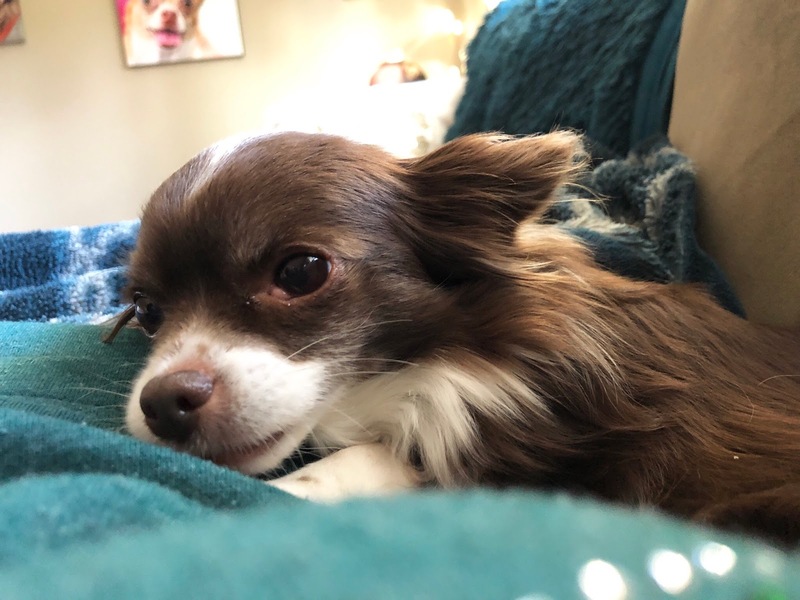 She just loves to cuddle up with people and she never gets antsy. She could lounge around all day and not be concerned with anything else around her. She has such a great personality and is so loving. 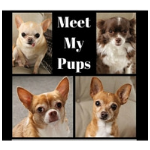 When I brought her into our home 9 years ago, she fit right in and got along with Pixie and Grace. Today, you can find them all lounging around with Rocky on the couch, not afraid to share snuggles with each other and they never get annoyed if the other invades their personal space. Stella recently had her teeth cleaned and had 5 teeth removed because they were rotten! I always say how bad Chihuahua teeth can be despite your best efforts but that's also why one of her gifts was oral health themed! 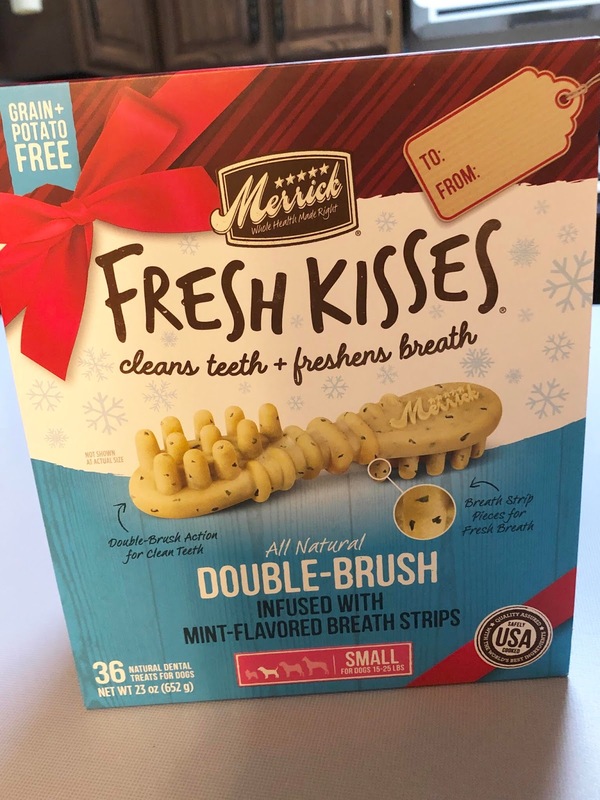 That's right, I got Miss Stella an entire box of Merrick Fresh Kisses Holiday Mint Dental Treats from Chewy! 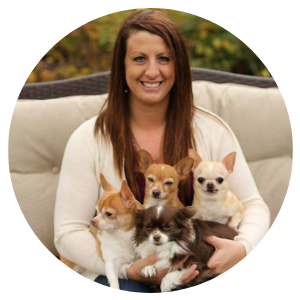 She loves them and they help clean her teeth and fight plaque and tartar. They also leave a nice fresh breath scent behind so I can give her lots of kisses. Also, they're easily digestible because they're made with natural peas, tapioca, and gelatin and have no potatoes or grains. The little brush shape help gets in between her teeth as she bites into it. It's super important to take care of your dog's teeth so I highly recommend getting some of these dental treats for your pooch this Christmas! Overall it was a great day for Miss Stella and she was pooped at bedtime. 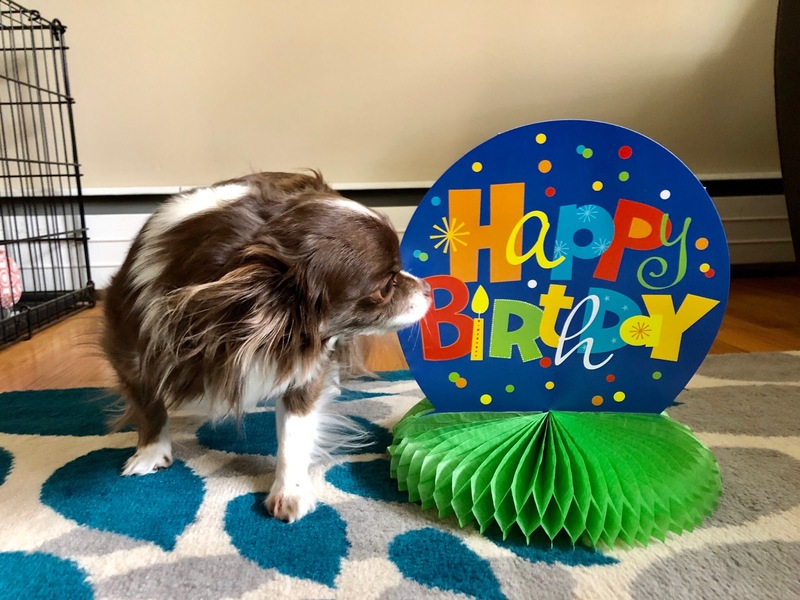 I love celebrating birthdays for each of my dogs no matter how many times I do it. 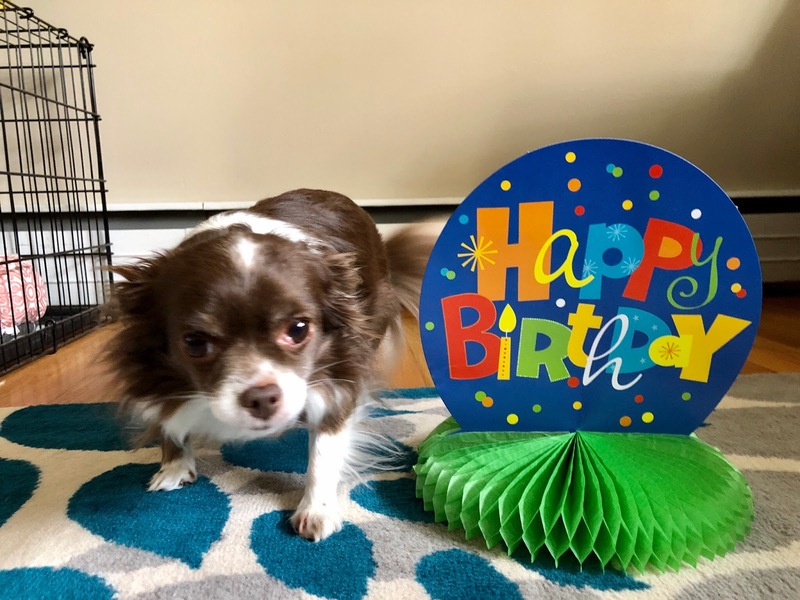 Yes we celebrate their birthdays - usually just with extra cuddles and a special treat or toy! Although they seriously have FAR too many toys as it is, so for Molly's birthday in September I got her a new bowl with snoopy on it, and a bag of special treats they could all share! Happy Birthday Sweet Stella!